Improve the knowledge and optimise the design of this unique little curved bridge. 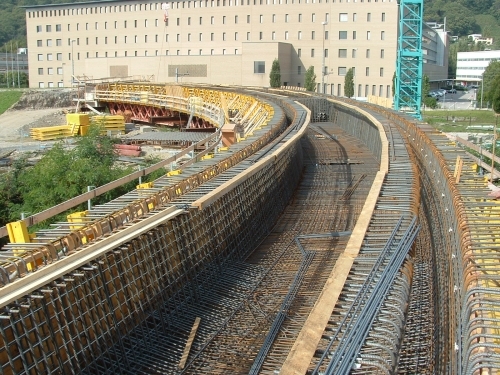 The structure is a curved concrete bridge poured on-site and it consists of 5 spans for a total length of 134 meters. 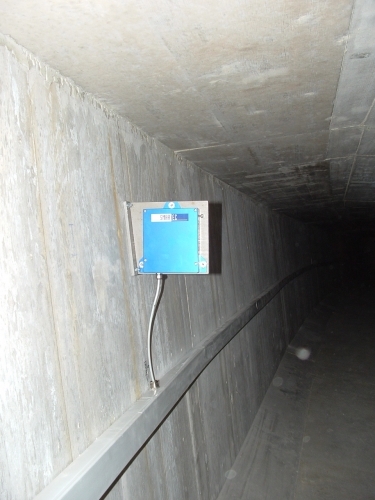 The SOFO monitoring system was integrated on the main span, 36 meters long, which crosses the Vedeggio river. 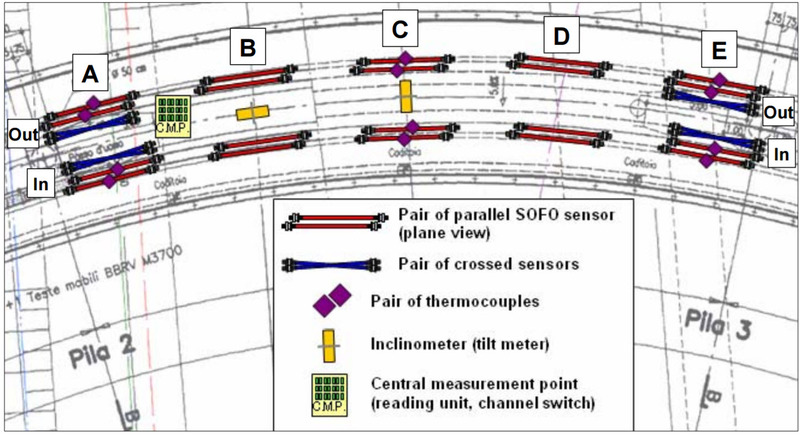 Gathering the data on the bridge deformation during the construction phases and for the whole life cycle while correlating the temperature with the strain measurements.